Informal dialogues and knowledge sharing to explore developments in microservices and open API architectures in Asia for the insurance industry. 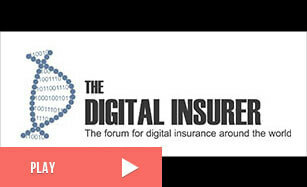 The session was chaired by The Digital Insurer as part of its corporate sponsor member program. Venue host was Prudential. The session will not be recorded but meeting notes will be compiled that focus on broad trends and insight and will not quote individuals or specific company activities to maintain confidentiality of discussions. The transcript may be used to promote awareness of the topic more broadly. The meeting was designed as informal and largely off the record knowledge sharing. Attendees agreed on producing a broad summary of insights and observations. Most insurers participating are moving toward API and Microservices. There was a consensus that these changes are being driven by business need – driven by new product and distribution opportunities in a digital world. All insurers will end up with a microservices architecture and there was broad agreement that in the short term those that got their more quickly would have a competitive advantage in terms of being able to build or participate in the ecosystem. Acknowledgment that insurers are behind here compared to other industries. 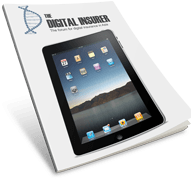 We heard from smaller and larger insurers who are reporting success. Both are wrapping API and Microservices around multiple back-ends and those reporting success are either adopted a “micro-services” native environment or have developed capabilities in quote a low-key manner that has delivered business results quickly and developed confidence for further investments. So an indicative insight was that insurers who are making progress seem to be adopting more of a “newco” / disrupt approach with a common focus on Front and middle to wrap around existing back-end solutions. There was an interesting discussion around product config and how to make this more agile. A practical approach seems to be adopted with as much as possible the config moved towards microservices and out of back-ends – but not a 100% transition. Insurers with older back-end systems not surprisingly report more problems with creating a more agile product configuration. eBaoTech provided insights on the state of commercial solutions for microservices and APIs that are available. They shared how insurers are starting to experiment with Microservices for a specific product or business initiatives and are able to “buy in” capabilities to help them move faster. ACORD reported on the work they have been doing to repurpose their XML standards to support API and Microservices frameworks along with it’s their availability. The meeting purpose was not to aim to create industry standards but there was a common view that regulator support is needed to help push standards and that organizations such as ACORD could help by continuing their work with regulators as well as insurers. At the same time, most insurers where clear they have work to do to bring their internal architectures up to speed – and some will clearly benefit by adopting standards-based frameworks and work already done elsewhere.